When the weather’s cold and gloomy all I feel like doing is eating comfort foods. 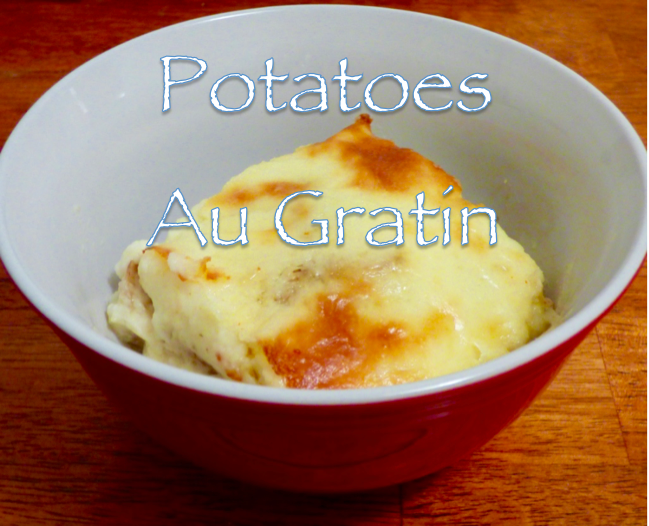 Potatoes smothered in cheese have been on my mind so I decided to whip up a batch of potatoes au gratin. This is one of my “go-to” winter recipes. The potatoes, cayenne pepper and onion are all “warming” foods and the sharp cheddar cheese sauce is full of good fats and protein. In the winter slow-cooked foods are where it’s at! A few tips about this dish. I used organic potatoes so I left the skins on. You could peel the skins if you wanted to but if you leave them on you’ll get an extra dose of fiber. I don’t recommend leaving the skins on if you’re using conventional potatoes though. A great way to reduce your prep time is to slice the potatoes and onions in a food processor with a slicing blade attachment. Slicing by hand takes a lot longer and the pieces tend to be uneven. You can also shred your cheddar cheese in the processor, just switch to the cheese grater attachment. Cayenne pepper is a powerhouse superfood. I always use cayenne pepper instead of black pepper. Many people don’t know this but black pepper is mildly toxic. Cayenne lowers cholesterol, increases circulation and even strengthens the stomach lining [to learn more read: Health Benefits of Cayenne Pepper]. It does takes a while to make this dish (about 2 hours) but it’s SO worth it! And your kitchen will smell amazing. 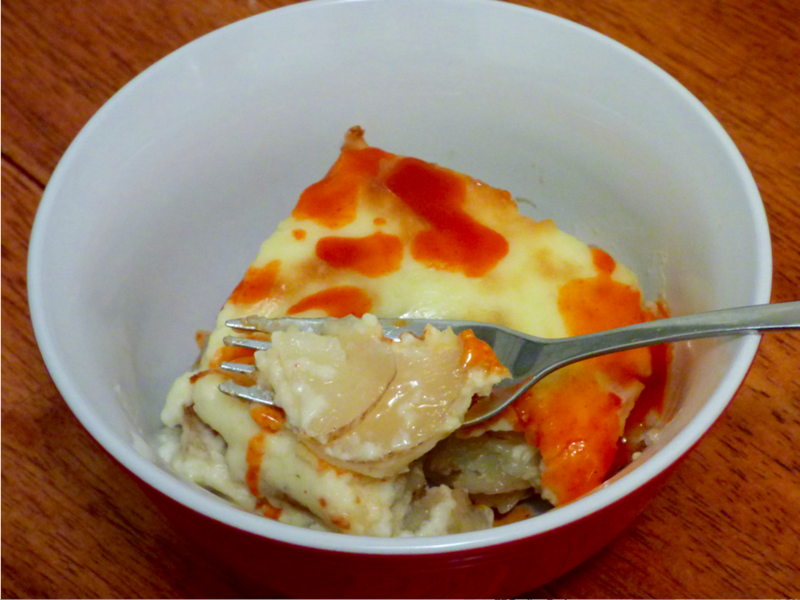 For even more flavor you can garnish your potatoes au gratin with a splash of hot sauce. You could also sprinkle some chopped nitrate-free cooked bacon or lay a couple of fried eggs on top. Enjoy! Preheat oven to 400 degrees F. Butter a 10″ x 8″ x 3″ pyrex baking dish. Cut the potatoes in half and cut into thin 1/8″ slices (or use a food processor). Layer half of the potatoes in the baking dish. Season generously with salt and cayenne. Set the other half of the potatoes aside. Cut the onion into thin slices and layer on top of the potatoes. Layer the remaining potato slices on top of the onion slices. Season again with salt and cayenne. In a medium-size saucepan melt 3 Tbsp butter over medium heat. Add the flour and 1/2 tsp salt and stir constantly for one minute. Add milk and continue to cook and stir until thickened. Add the cheese and continue stirring for another minute until the cheese has melted. Pour cheese sauce over potatoes and cover dish with aluminum foil. Bake in the preheated oven for 1 & 1/2 hours (or until the potatoes are fork tender). In the last fifteen minutes of cooking remove the foil to brown the top layer. So good with a splash of hot sauce!